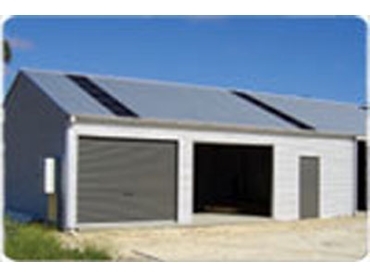 Action Sheds Australia offers a large range of superior farm sheds, stables and barns that are perfect for all machinery and storage requirements. Farm sheds or stables can also be custom-designed to suit specific needs. Rural sheds can be designed with open front and/or custom individual bay sizes. The open front allows for easy tractor access, hay storage or stable conversion. One can also have the shed fully cladded incorporating dividing walls with roller doors and personal access doors for full security. The farm shed or stable design can have spans up to 10 metres and beyond, lengths of 50 metres or more and heights over five metres. The full range of rural farm sheds is built from Bluescope Steel ensuring the highest quality and exceeding current industry standards. The rating on the steel used is 450MPA or higher, with a ten-year structural guarantee. Farm sheds or workshops can be delivered to the buyer’s site either by truck or packed in containers and shipped to any major port in Australia. The farm shed or stable can even be erected by the company onsite.